The time to start planning is now! It may seem like there's lot of time and you can put it off longer, but fall is the perfect time for planning any renovations you may want to do in 2019. In your project planning you need to think about and allow for any or all of the following considerations. Your addition may require a variance from the city, which can take months. If you don't require a variance you will need a property survey/building lot certificate before any new structure/addition can be designed. 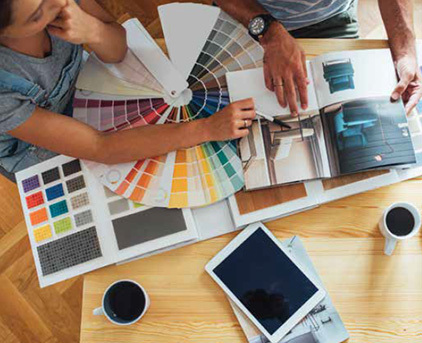 You're not the only one planning renovations and all the good and reputable designers and design build firms get booked up well in advance by clients that want the best outcome for their projects. If you wait too long, it may be one or two months before you can even arrange a meeting. Once you get going with the design you should allow at least three months for design time, longer if structure is included. This also depends on how fast you are at making decisions and approving steps along the way. The more time you can allow to consider your options, the better off you will be in the end knowing that you have explored all possibilities. You will be much happier with your final choices. Your project then needs to be priced out or budgeted by contractors, if you have not gone the design build route, who typically provides value/cost engineering along the way and works with the design as it evolves. This is going to consume some time as well. Now you have a package of drawings and plans to take to the City of Winnipeg for your permit application. And I can tell you that come spring time the pile of applications on the plan examiners desk is higher than a highway 59 snow drift in January. This process can at times take up to six weeks to complete. So, here you are with plans, permits and are ready to go. Next, you need to fit into the schedule of your contractor of choice and if you had not booked in advance you will have to fall into the queue behind all those that did. The contractor will also need to start the ordering process with the suppliers related to your project and since no one wants to spend money on warehouse space anymore it seems that more and more product has to be ordered in from points elsewhere and we all know the delays that can sometimes cause. I realize I've painted a bit of a worstcase scenario and don't want to scare anyone from the project and home of their dreams, but I've been doing this for almost 40 years now and have learned a little something about planning a successful project, which is, "proper planning prevents poor performance!" So, is it time to get started now for a 2019 build? Absolutely!